The Virginia colony settlement of Middle Plantation was established in 1632. The town was renamed Williamsburg in 1699 in honor of King William III and served as Virginia’s capital city until 1780. Despite its status as a colonial capital, Williamsburg attracted very few Jews. A significant community did not form until the mid-20th century. Today Williamsburg is home to a strong and vibrant Jewish community. Colonial law mandated that white Virginians worship in the Anglican Church once a month and pay taxes to ensure its upkeep. In order to gain citizenship in Virginia, people had to swear over the Christian bible and either profess their faith in Jesus or take the sacrament. Jews were excluded from serving in public office or testifying as witnesses in court. Additionally, Jews were barred from attending the College of William and Mary, established in Williamsburg in 1693. The Great Awakening of 1740 and the immigration of non-Anglican Christians to Virginia led to an increase in the colony’s Presbyterian and Baptist populations during the mid-18th century and with that, there was a spike in the number of dissenters from the Church of England. In the 25 years leading up to the Revolutionary War, evangelicals challenged the colony’s association with the church and many of Virginia’s key political figures took up the cause for religious freedom. Thomas Jefferson drafted the Virginia Statute on Religious Freedom in 1777, which finally granted equality and the right to worship to Jews. In addition to these legal restrictions, Williamsburg’s plantation farming lifestyle did not make it an attractive location for Jews during the colonial era since Jews tended to settle in port cities where they could get involved with trade and commerce. There are records of Jews who passed through Williamsburg during the 17th and 18th centuries on business, however little suggests that any lived there for an extended period of time. Brothers Barnard and Michael Gratz of Philadelphia, two of the most prominent Jewish merchants in colonial America, owned stores, warehouses and manufactories in Williamsburg. During the Revolutionary War, the Gratz brothers served as purchasing agents for the Virginia Board of Trade. Their high standing in the international trade market allowed them to circumvent the British blockade and acquire goods from Amsterdam and the West Indies for the state of Virginia in exchange for tobacco. There is only one Jew who lived permanently in Williamsburg during the colonial period. 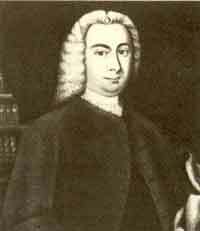 Dr. John de Sequeyra immigrated to Virginia from London in 1745. His family origins trace back to Portugal and records show that his family attended the Spanish and Portuguese Bevis Marks Synagogue in London. De Sequeyra attended medical school at the University of Leiden in the Netherlands, where he studied to be a physician with the highly renowned 18th century scientist, Hermann Boerhaave. De Sequeyra’s expertise spanned general medicine, epidemiology, pre-modern psychology, and much in between. He served as a personal physician for prominent people in Virginia, including colonial governor Lord Botetourt and Martha Parke Curtis, stepdaughter of George Washington. Soon after arriving in Virginia and continuing through 1781, de Sequeyra wrote “Notes on diseases in Virginia” in which he annually recorded the most common diseases and the most effective corresponding treatments. He is also believed to have been the doctor who kept a “Smallpox List” of 85 households in Williamsburg during an epidemic in 1747-1748. In addition, de Sequeyra served as the first visiting physician to the Public Hospital for the Insane (today, Eastern State Hospital) from 1773 until his death in 1795. In addition to his medical career, de Sequeyra was also credited by Thomas Jefferson with introducing the tomato as a vegetable to Virginia. There are few records that describe de Sequeyra’s Jewish practices. De Sequeyra was identified in the community as a Jew and did not dissociate from Judaism. However, there is little evidence of his dissent from the Anglican Church and he did not invoke the 1740 Act of Parliament, which permitted naturalization of Jews and non-Anglican Protestants in the British American colonies. De Sequeyra paid his tithe and property taxes to the local government and the Anglican Church. During his time in Williamsburg, there was no congregation or Jewish community with which to affiliate. Aside from a handful of Jewish students at the College of William and Mary, there is little evidence of a significant Jewish presence in Williamsburg between the early 1800s and mid-1900s. In 1937, only 21 Jews lived in Williamsburg as the town never emerged as a commercial center in comparison to nearby cities such as Richmond, Norfolk, and Newport News, where substantial Jewish communities had been established. Williamsburg languished after the relocation of the capital to Richmond in 1780 and by the early 1900s, many of the colonial era houses had fallen into disrepair. W.A.R. Goodwin, rector of the Bruton Parish Church in Williamsburg and instructor at the College of William and Mary, led the effort to protect and restore the town’s colonial buildings. He convinced John D. Rockefeller, Jr. to take the lead in funding the project. After World War II, Colonial Williamsburg became a major tourist destination, which helped spur growth and economic development in the town. Williamsburg’s population grew from 4,000 people in 1940 to 6,735 a decade later. By 1960, over 9,000 people lived in the town. It was during this period of post-war growth that a more substantial Jewish community started to develop. When Dr. Paul and Ethel Sternberg moved to Williamsburg from Richmond in 1950, there were few other Jews in town. Without a congregation in town, Paul and Ethel would go to Paul’s home in Philadelphia for the High Holidays and later would take their children to Sunday school in Newport News. During the 1950s, a small but growing number of Jews settled in Williamsburg, mostly drawn by Colonial Williamsburg or the College of William and Mary. In 1959, they established Temple Beth-El. According to Ethel Sternberg, the small Jewish community formed a congregation primarily because they wanted to raise their children in an environment that included Jewish practice and education. Before there was a permanent synagogue, the congregation held services on William and Mary’s campus, in the chapel of the Wren Building. Temple Beth-El was permitted to remove the chapel’s cross from plain view for its services. When not using the chapel, the members would meet for services in the basements of homes. The congregation’s Sunday school, which consisted of about 10 children in its early years, was held either in homes or campus buildings. Before getting a permanent synagogue, the temple’s listed phone number was the home phone number of the Sternbergs. The young congregation hoped to acquire a synagogue. Such a building would help establish the Jewish community in Williamsburg and garner respect and acceptance from the greater community. In the mid-1960s, a patient of Dr. Paul Sternberg’s offered to sell the congregation a house on Jamestown Road next to many prominent churches and across the street from William and Mary. Sternberg bought the house and turned it over to the congregation. Since the house on the property was unsuitable to be used as a temple, it was knocked down. There were architectural plans to build a new synagogue on the site, but before they were finalized, temple board member Murray Loring learned that there was an old gift shop in Colonial Williamsburg that was for sale. The temple paid only $500 for the building, though transporting it to their property cost $10,000. In 1968, the building was moved on a flat bed truck to its current location on Jamestown Road. Led by George Orenstein, it took congregation members six months to transform the former gift shop into a building appropriate for services. During these early years, Temple Beth El remained a very small congregation, consisting of only about 18 households when their new synagogue was dedicated. However, the congregation expanded in the 1980s as Jews continued to move to Williamsburg and its surrounding area. The congregation started distributing a newsletter and putting on planned events in order to raise money, bring together the Jewish community in Williamsburg, and integrate Temple Beth El into the larger community. Beth El’s Sisterhood held hat sales, bake sales, dances, and art shows to raise money for the congregation. The congregation has held weekly services since its beginning, though they did not employ a rabbi until 1994. Up until that point, congregation members such as Emeric Fischer, Paul Sternberg, and Leonard Legum had led services. In 1994, Sylvia Scholnick, who had also been leading services for several years, was officially ordained and became the temple’s first rabbi. Since its inception, Beth El has remained unaffiliated with a denominational movement. Since the congregation was so small in its early years, it needed to be open to Jews of different backgrounds and beliefs. Affiliating with a particular movement would likely alienate a faction of the members. In 1988, the congregation voted by a large majority to remain unaffiliated. The temple adopted the Reconstructionist prayer book in the early 1990s, though some congregants were uncomfortable with its omission of the notion of Jews as the “chosen” people. For certain prayers, the congregation pasted over them with a version from the Reform prayer book. Temple Beth El’s unique, pasted-over prayer book reflects its continuing effort to make everyone in the community comfortable and included. The congregation keeps a dairy kitchen so that community members or Jewish tourist groups have access to kosher meals. One year, the temple hosted a seder at the Williamsburg Lodge for tourists and about 250 people attended. Due to the synagogue’s location across the street from the college, William and Mary students are active participants in temple activities. While the campus Hillel is not affiliated with the congregation, they maintain a close relationship. Rabbi David Katz, the current rabbi of Temple Beth El, serves as the representative for Hillel at William and Mary's Campus Ministries United. The Jewish population at William and Mary has grown over the last few decades. In the late 1950s, there were only 80 Jews at the college; that number remained fairly consistent into the 1980s. In 2013, there were 285 Jewish undergraduates along with 100 graduate students. Although the Hillel does not have a permanent building on campus, it still holds weekly Shabbat dinners and planned events throughout the year. Williamsburg’s Jewish community has never been larger or stronger. Williamsburg has become a popular retirement community and retirees form a solid portion of congregation’s membership. The area economy has also flourished in recent years with new technology companies and other start-up businesses. Beth El expanded its synagogue in 2007 to handle the growing congregation, but still has to hold High Holiday services at a local church because the temple cannot accommodate all the people who attend. Today, Beth El has approximately 140 families and it seems likely that the Jewish community in Williamsburg will only continue to grow in the coming years.